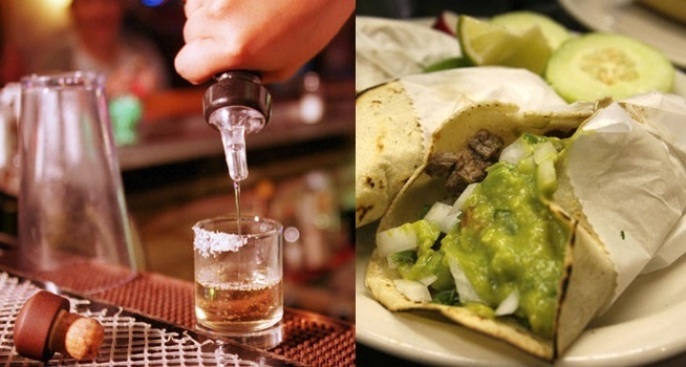 The Tequila & Taco Music Festival visits Ventura on July 21 and 22 and Santa Cruz on Aug. 25 and 26, 2018. YOU'D NEVER BAG ON BURGERS, and blasting beer isn't your thing, and finding any faults in the foodstuffs and libations that people regularly enjoy when the sun is especially bright and blistering isn't what you do. In fact, you happen to dig a crispy French fry, a well-sauced patty, a lovely and oily slice of pizza, and all of the edibles that regularly get to star in their own food-forward celebrations around the great Golden State. VENTURA AND SANTA CRUZ, where the piquant Tequila & Taco Music Festival will again flower with panache, songs, salted rims, cabbage-topped carne asada, and oodles of deliciousness. The Ventura festival is set for July 21 and 22, 2018, while Santa Cruz will welcome the on-the-road party over the final weekend in August. Count on some excellent street taco showings, a line-up of tequilas from the very top shelf to taste, craft-tastic vendors, vendors of craft beers, and lots to do. OH YEAH, IT'S HUGE: It is, in fact, billed as "California's Largest Traveling Taco and Tequila Festival," so best line up your ticket pronto, and, most importantly, the ticket for your designated driver, too (think ten bucks, a true deal for all of the entertainment and looking around that's covered). The outfit behind this mondo production? It's the California Beer Festival, which knows about producing memorable and spirited celebrations that pop up, each and every summer, around the state.